Go Simple or Complex with This Tried and True Technique! 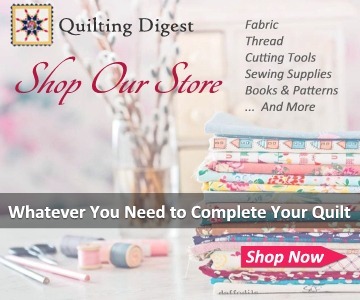 Are you new to quilting and struggling to finish a project? 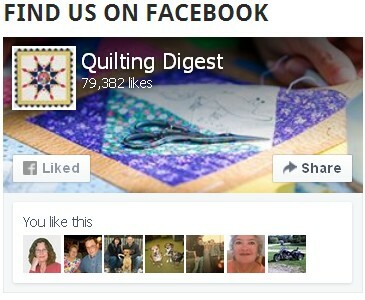 Or, are you an experienced quilter who wants to get projects done more quickly? Quilt-as-you-go may be just what you’re looking for. 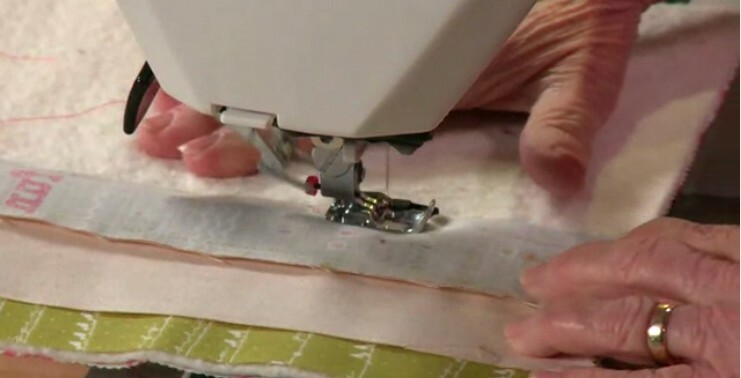 This popular technique simplifies the quilting process by sewing through the batting and backing at the same time as you’re piecing the top. When the piecing is done, the quilt is done, or nearly so if you’re making several blocks. Quilt-as-you-go is perfect for beginning quilters, as you’ll complete a project much more quickly and easily than by using traditional methods. 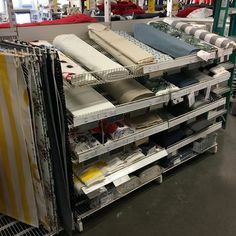 Experienced quilters can finish up several projects in the time it might take them to complete one with a more traditional approach. Quilt-as-you-go is often thought of as just for projects with simple piecing. However, complex blocks can be made using this method. You can even produce applique blocks, bags, and a number of other projects. 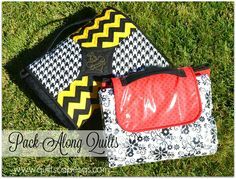 This technique is something every quilter should have in their quilter’s toolbox. The process is really quite simple. Cut a piece of backing and batting a bit larger than your small quilt or quilt block, then stitch through all layers as you piece the top. 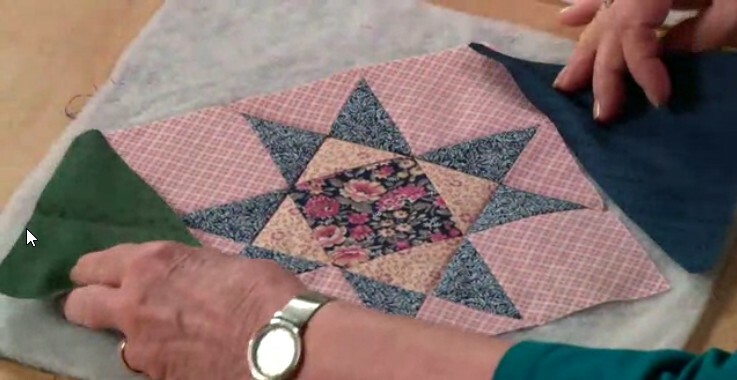 Jenny from Missouri Star Quilt Company shows you the basics in this video. But what if you have several quilt-as-you-go blocks to combine into a quilt? 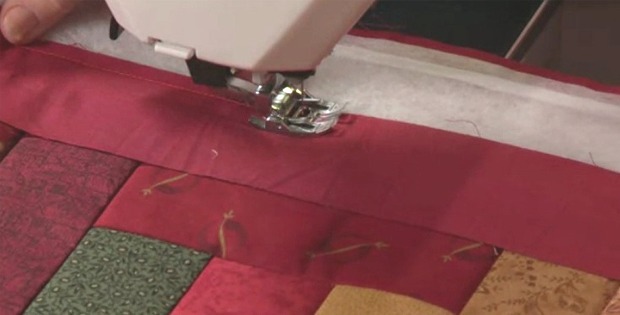 In this video, Gourmet Quilter shows you how to combine finished blocks with sashing. This is just one of several ways of combining blocks. If you’re interested in exploring quilt-as-you-go further (or need to be prodded a bit to get going! ), we suggest the excellent Craftsy video course by Marti Michell. Author Marti Michell shows you how to adapt for quilting as you go, so you can recreate any style with ease… Marti shares a range of ways to join your blocks and when to use each method, including twin and single finishing strips and a multi-layer seam strategy. 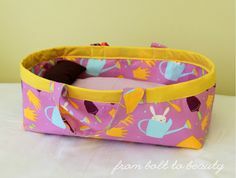 You’ll also find out how to adapt complicated favorites like the Ohio star to the quilt-as-you-go process, and discover smart techniques for bulk busting, and quickly adding borders and binding. Find more information about the video course here. Curved Piecing – Simple Once You Know How!